Those who have never worked in government often suspect that more unethical activity than we know of occurs behind the scenes. But they’re never really sure about much of it. A lot of their suspicions are couched as mere speculation. As someone who has worked for three government agencies, including as a high-level adviser to a politician, I can tell you that this kind of activity is commonplace but deeply hidden, shared only among only a handful of top people within an agency. While I was fortunate enough to avoid this corruption while an adviser since I worked for an honest politician, due to my position I got to know others in government who relayed what was happening at their agencies. If something seems fishy about the vendors that win bids on government projects, it probably is. Officials know how to write up requests for bids in such a manner that only their favored contractors will qualify. These are usually family members, friends, or people the politicians owe favors to. This is often why one vendor will have a large number of government contracts. But to try and prove this type of corruption is almost impossible. Public records requests, also known as Freedom of Information Act requests, are supposed to allow transparency in government. However, clever government employees know how to foil them. One common method is to delay the release of the records. During the Obama administration, at one of my previous government jobs where I was an attorney, I put in a public records request with the Department of Health and Human Services as part of an investigation. I did not receive a response until five years later, long after I had moved on to a different job. The letter said they had no documents that fit my request (a lie). Government agencies defend delays by claiming that they are backed up with work and public records requests. But this is a lie. Does anyone really believe the federal government doesn’t have enough employees? Furthermore, if the media puts in a request, most government agencies try to respond within a day. This is because journalists can make them look bad by writing about the delays. Government agencies also lie about having no responsive documents. They will use semantics to claim that the inquiry wasn’t formulated correctly. Since the public doesn’t have access to the documents, they cannot determine whether the government is lying. Organizations have sprung up that specialize in drafting public records requests to the federal government, due to these tricks. Public officials know what their advisers are up to. When one of them gets caught in wrongdoing, it’s common for the official to deny any knowledge of the act. Politicians are generally savvier than their underlings, knowing not to put much in writing. Former New Jersey Governor Chris Christie is a classic example of this. Everyone suspects that he was fully aware his staffers plotted with transportation officials to create traffic gridlock in Fort Lee, N.J. after its Democratic Mayor Mark Sokolich refused to back Christie’s reelection bid. But nothing happened to him. His staffers, who left a paper trail, were prosecuted. Two were sentenced to prison and a third staffer received probation. 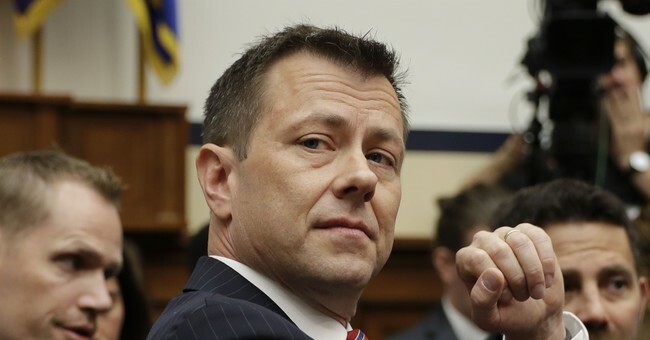 FBI agent Peter Stzrok and former FBI attorney Lisa Page got caught up in similar behavior. They carelessly discussed their plot to stop Donald Trump from getting elected in text messages on government smartphones. As underlings, no one knew who they were until the text messages were made public. The pair served under FBI Director James Comey. As the boss, Comey was clever enough to only put things in writing that would make him look good if they came out, like his self-serving memos about his meetings with Trump. But he couldn’t hide his hatred for Trump in the memos. He must have been aware of what Stzrok and Page were doing, and may have even instructed or encouraged them. Retaliation by public officials is common. If you suspect someone is being punished for crossing a politician, you’re probably right. This happens even with petty things, like where an opponent is placed in a list of speakers, or where they’re assigned to sit at a banquet. Members of Congress have been pulling secret sleazy maneuvers for years. The 25-year-old book “The Ruling Class: Inside the Imperial Congress,” by the Heritage Foundation’s Eric Felten, is still relevant today. Members of Congress set up votes to make it appear that they are representing their constituents’ interests, but secretly find ways to undermine the legislation later in order to appease special interests or other members of Congress. They deliberately write legislation incoherently or vaguely in order to escape consequences for it later. The public officials who act the most self-righteous are often the ones unethically scheming behind the scenes. Part of the problem is the wrong type of people tend to be attracted to public office — narcissists who want fame, fortune, and power. They will do almost anything to achieve and keep that status. It’s time to stop giving them the benefit of the doubt. Their former staffers — the ones who take the fall if something goes wrong, yet who have none of the power and wealth to fight back — need to start coming clean and informing the public. Otherwise, the sleaze will continue.